Proper installation and training is the foundation for long-term success with your new industrial grand format printing equipment. Our field engineers spend far more time on initial install and training than on any other service they provide because without proper install and training, the return on your investment can be lost. We will set you up for success, so you know how to best run your equipment, avoid downtime and maximize your return. Unexpected downtime is the worst-case scenario for any large format production environment. Instead, schedule quarterly downtime and let us provide you with necessary tune-ups and maintenance to keep your investment running optimally during the rest of the year. Our field engineers will do a top-to-bottom examination of your printer and provide the necessary maintenance to make sure you keep running at peak performance when you need it. 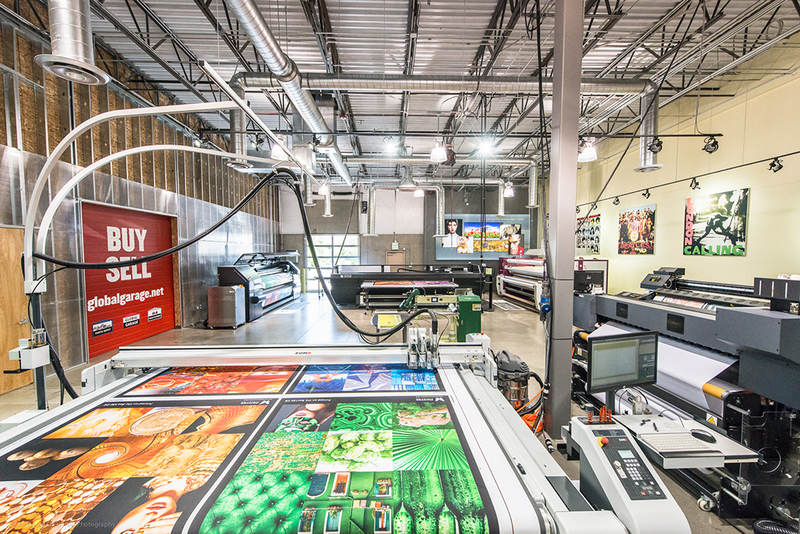 Get the most out of your new equipment with onsite training from our grand format printing specialists in established and innovative applications. After attending a Color Conference recently, the head of our Workflow Studio – who also happens to be our Application Specialist – came back with this question: “How can Global help participate in pushing color boundaries so we are able to provide our customers with up to date information within the industry as well as being able to offer our customers the best color to keep them competitive?” This is the kind of thinking that drives us to stay ahead of the curve with Workflow Automation, RIP, Color and Application Training. We offer on-site wide format production management software training, or your production staff can attend customized training here in our state-of-the-art Workflow Studio on the cutting edge software and workflow programs that will improve your productivity and/or color. This is where you will beat the competition every time. Re-training of existing staff or first-time training of new staff can be an important investment that helps you optimally leverage your grand format print equipment or software and possibly save you thousands of dollars in downtime and parts. A well trained operator not only knows how to run a piece of equipment for the best color output and productivity, but also should know how to care for it on a daily, weekly, monthly and annual basis. That maintenance and proper usage is critical to getting the most out of your investment and keeping it running day after day. Our specialists can come to your facility for training or your staff can train on the equipment in our state-of-the-art Workflow Studio so that they can focus on what they need to know without the interruptions of daily production.